Scrapped in 1959 at Tokyo, Japan. Propulsion: Three single ended boilers, one 2,600ihp verticle triple-expansion steam engine, one shaft. Dictionary of American Naval Fighting Ships: Radnor (Id. No. 3023), formerly War Indian, was built in 1918 by the Sun Shipbuilding Co., Chester, Pa., for the Cunard Steamship Co.; requisitioned by the Navy 11 April 1918, and commissioned at Philadelphia 13 May 1918, Lt. Comdr. Mareus S. Harloe, USNRF, in command. 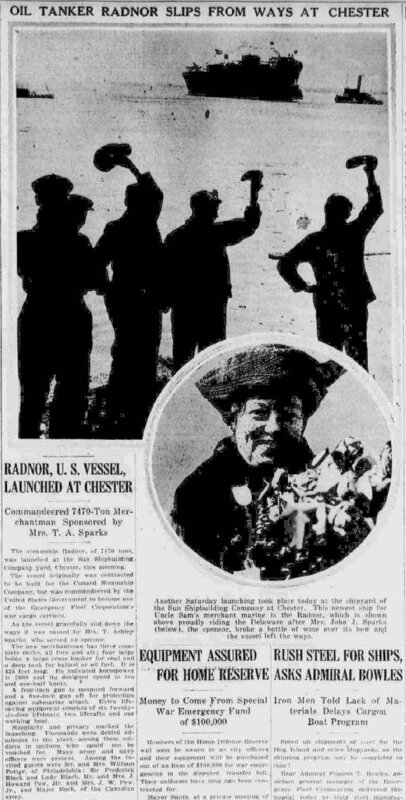 Radnor was assigned to the Naval Overseas Transportation Service and was used as a cargo ship carrying Army munitions and supplies overseas during World War I. 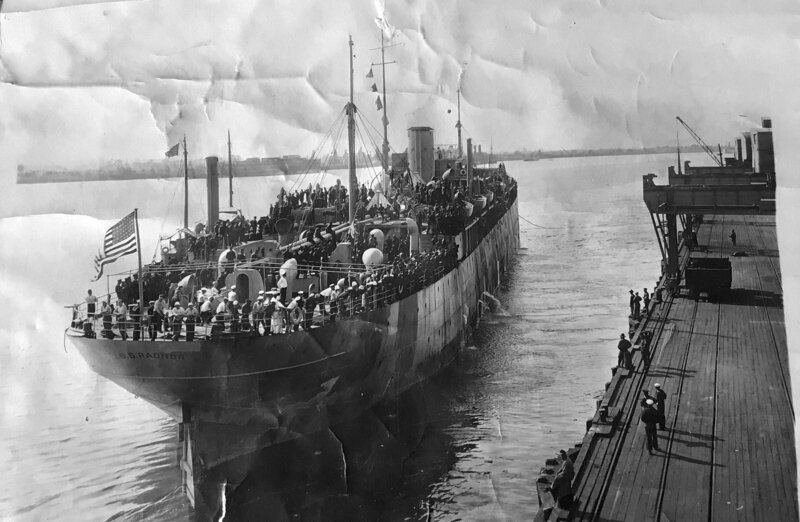 She departed Philadelphia 31 May 1918 for Cristobal, C.Z., with a full Army cargo and then proceeded via Callao, Peru, to Antofagasta, Chile, arriving 28 June. Radnor later joined two convoys to France, the first arrived at Marseilles 19 September and the second reached Quiberon 4 January 1919. 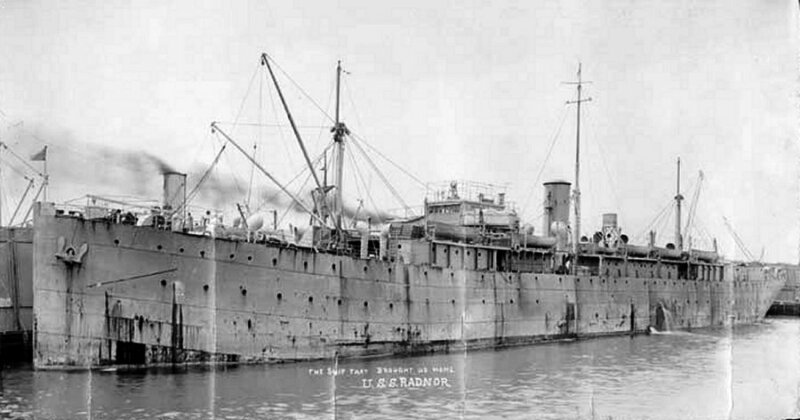 Radnor was transferred to the Cruiser and Transport Force 7 March 1919 and was subsequently converted into a troop transport. During this assignment, she made four round trips to France, returning home with 5,876 veterans. 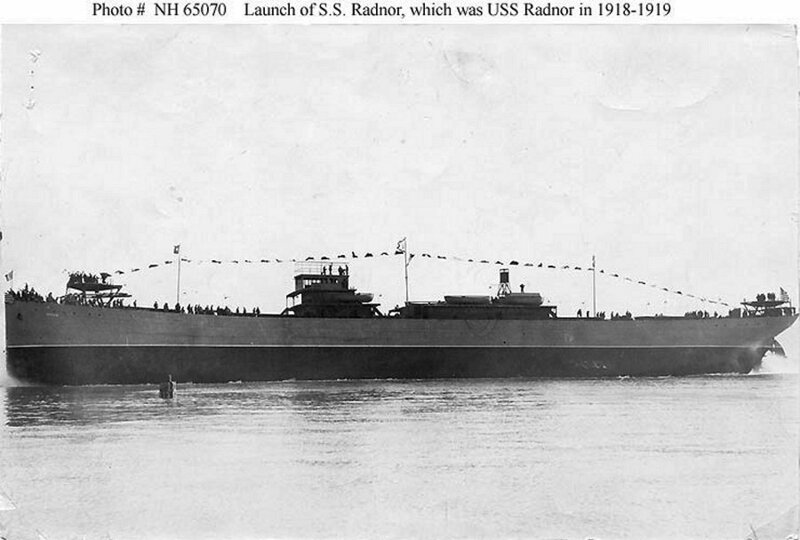 Radnor was detached 25 September 1919 from the Cruiser and Transport Force and turned over to the USSB 24 October.